I was talking to my 22 year old son the other day, about what we often talk about - The Dodgers. I got to thinking that I am really getting to be old. My son, who was born the year after the '88 World Championship team, was clueless about so many things Dodger and see things from such a different perspective than I do. He has never seen a Dodger team advance beyond one round in the post-season. 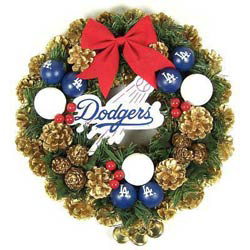 I have come to accept that I'm an old Dodger fan. I list several memories and recollections that prove that point. Here they are. For my fellow Dodger Codgers, feel free to add others. 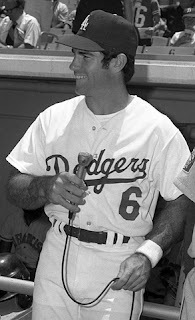 You realize that Matt Kemp, Andre Ethier, Clayton Kershaw and Chad Billingsley were all born AFTER Steve Garvey wore a Dodger uniform for the last time. You see players celebrating with a congratulatory "high five" and it brings you back to 1977 with Dusty Baker and Glenn Burke. You think back to a time when Dodger Stadium had red crushed brick as an infield dirt and that was probably the best looking and hardest infield in the majors. The Dodgers kept it up until Walter O'Malley died, because the old man thought it looked nice. You remember Dodger Talk with such hosts as Bud Tucker, Bud Furillo, Ed "Superfan" Beiler, Geoff Witcher, Rick Tally, Al Downing, and others. You recall that the only games we'd see televised where from Candlestick Park against the Giants. The only time a home game would be televised was if it was the end of a pennant race in late September and O'Malley was assured that the game was sold out. A post season trip would always be followed by a Dodger team that would tour Japan. And there was no union that opposed such a move. Maury Wills' refusal to participate in the series resulted in his trade to the Pirates. Bob Mitchell and Helen Dell are names that come to mind when thinking of the Dodger Stadium organist. You remember when the left field pavilion message board, with amber lighted messaging that said “Charge!” or “Go” was state of the art and by far the coolest one in the majors. You consider Don Mattingly a Yankee, Joe Torre a Brave, Tim Wallach an Expo, Mike Scoiscia and Dusty Baker - Dodgers and you wonder is there anybody left out there that will remain loyal to one organization ever again. 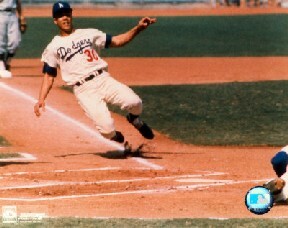 Maury Wills slides home on the Dodger Stadium red crushed brick soil. You think back with fondness of Maury Wills getting on base and the stadium would become electric with chants of “Go,” “Go.” And most of the time, Maury would oblige. You recall that complaints about the Dodger announcer wouldn’t be about Charlie Steiner, Steve Lyons or Eric Collins. Jerry Doggett would be the guy we’d complain about. What it comes down to is that nobody sounds decent when compared to Vin Scully. The smell of cigar smoke brings you back to recall sitting on the Field Level or Loge at the Stadium. You remember rented seat cushions being tossed on the field once the games ended. The promotion games were bat days, ball days, helmet nights and cap nights with a giveaway cap that was identical to what the players wore. Hollywood Stars Night would bring out the likes of Jackie Gleason, Cary Grant, Bob Hope, Bob Newhart, Don Rickles, Dean Martin, Kareem Abdul Jabbar and Billy Barty. AND they played hardball, the bases were 90 feet and no fences were brought in. You recall that annual oldtimers day was a wonderful day at the ball park and something that was well participated in and well attended. It was an extremely rare occasion when an opposing player was "booed." Jackie Robinson visit Sandy Koufax at Dodger Stadium on 6/18/65 following his 2-1 victory over the Giants. L.A. County Supervisor Warren Dorn is in the middle. 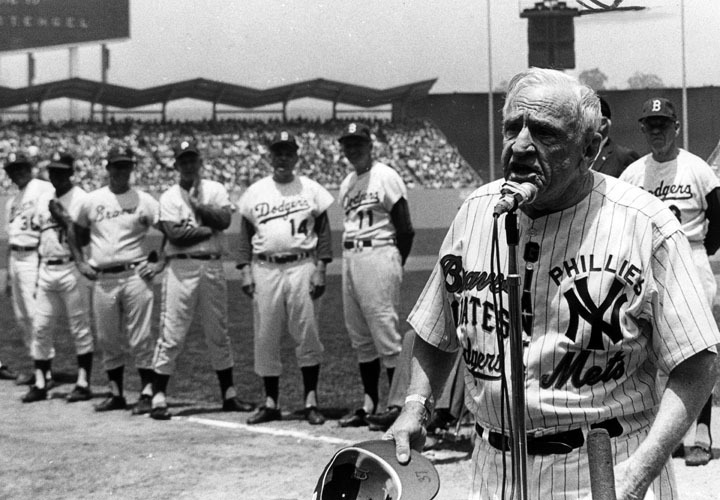 The buzz and electricity in the stands was palpable when Big D or Sandy took the mound. "Three Dog" was in center, "Rosie" was behind the dish. "The Vulture" swooped up saves and "Sweet Lou" would chant we're going "all the way with Sandy K."
You recall the days when you’d eagerly retrieve the L.A. Times from the driveway first thing in the morning to read about last night’s game. You dreamed of eating a steak in the Stadium club while watching the game. It was always a mystery to me how great that place must be while looking up at those glass paneled windows overlooking the right field line. The Final Edition of the Los Angeles Herald Examiner, Nov. 13, 1989. You miss the Herald Examiner and its Dodger coverage and you realize that it has been gone now for over 22 years. You attended a double-header, and the ball park wasn’t emptied out between games to allow the ownership to collect two admissions in one day. Frank Howard was the biggest man you ever saw step into a batter’s box. 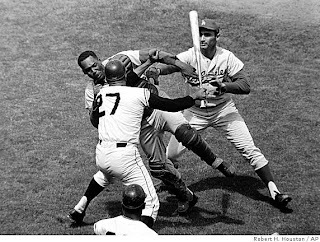 You realize that Davey Lopes is 66 years old, Maury Wills is 79, and Walter Alston would be 100 if he was alive today. Bill Buckner in the 1974 World Series against Oakland. Your memories of Billy Bucks was of a fearless leftfielder that crashed into walls making fabulous catches. Always hustling and stretching singles into doubles...not the far removed gimpy first baseman that made the error in the '86 World Series. You realize that fellow bloggers that are highly respected such as Jon Weisman and Eric Stephen are much younger than you. And you have kids older than Roberto Baly at VSIMB. You realize that Dodger beat writer Dylan Hernandez was in third grade when Kirk Gibson hit his Game one homer in 1988. You miss the great L.A. Area sports writers and columnists: Bud Furillo, Ross Newhan, Bob Hunter, Rick Tally, Alan Malamud, Mel Durslag and the great Jim Murray. You realize that the majority of Dodger fans out there today have no idea who you are talking about when you mention them. Imagine that, never living on this earth without experiencing the joy of reading a Jim Murray column. Ivan DeJesus continues to tear up the Puerto Rican Winter League for Ponce. In 110 plate appearances, Ivan is batting .314 with an OBP of .377. 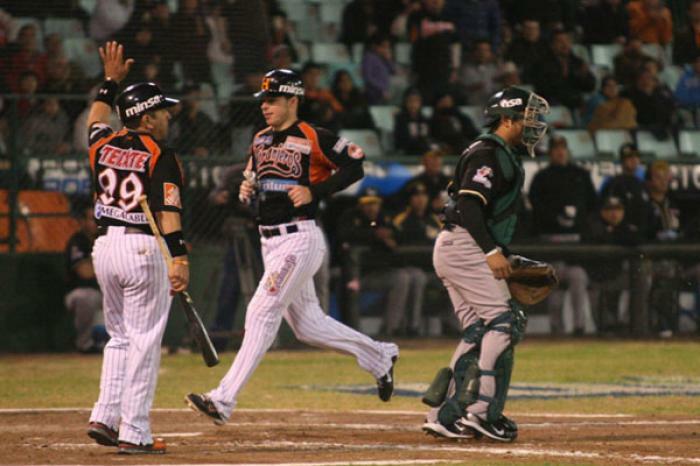 With 32 hits and a league leading 4 triples, De Jesus is having one of the better Winter League seasons leading the Leones in nearly all offensive categories and to a second place position in the standings. Its a shame he has Kennedy, Ellis, Uribe and Sellers all blocking his path to the majors. Don’t you think taking a chance on De Jesus would have been much more prudent than spending $9.55 million for Ellis and Kennedy over the next two seasons? De Jesus was never really given a chance, as evidenced by the Dodgers failure to call him up in September for two consecutive years. Now Ned shells out money that could have possibly gone towards Fielder, or perhaps Kuroda, on two players that probably weren’t even necessary. These are the moves made by Colletti that aggravate me to the core. In other Latin Winter League news, you may have seen this, but Yorvit Torrealba absolutely lost his composure in Venezuelan Winter League game. Here he shoves an umpire in the face. The result: A 66-game suspension from the League. That is the remainder of this season and all of next winter league season. "I wanted to express my sincere apologies to all parties for my actions during the Venezuelan Winter League game on Friday. I have extended an apology to the Rangers organization as well. I am embarrassed for my conduct, and personally relayed that feeling to the umpire after that night's game. On the field, I strive to be an example for children, especially those in my native Venezuela, and I regret my actions. I understand the reactions to the incident and will make every effort to set a positive example in the future." May your day be joyous and memorable with your family and loved ones. 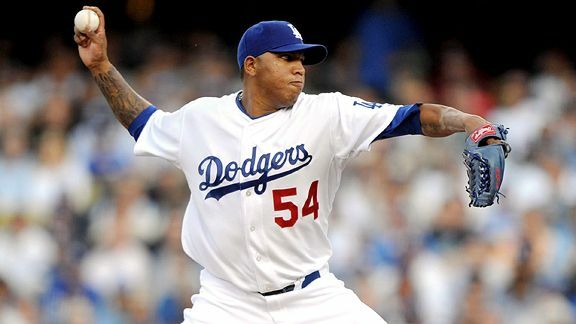 Ronald Belisario is apparently back and he will have to serve a suspension for violation of MLB’s drug policy. I get that. I understand that. I agree with that. It should happen. What I question is: Why did Tim Lincecum get a pass in 2010 after being arrested and pleading guilty to a misdemeanor marijuana possession charge? I know that there are many that believe that Marijuana is not a serious drug and using it shouldn’t be a punishable offense. It appears that MLB has taken the same stance, even though, its use is in violation of the letter of their drug standards which is partially cited below. I personally think MLB should act on their policy, no matter the substance used. First because of the message that it sends to the youth following the sport. In San Francisco, the “Let Timmy Smoke” t-shirts with Marijuana leaf and all is a wrong message to send to kids. 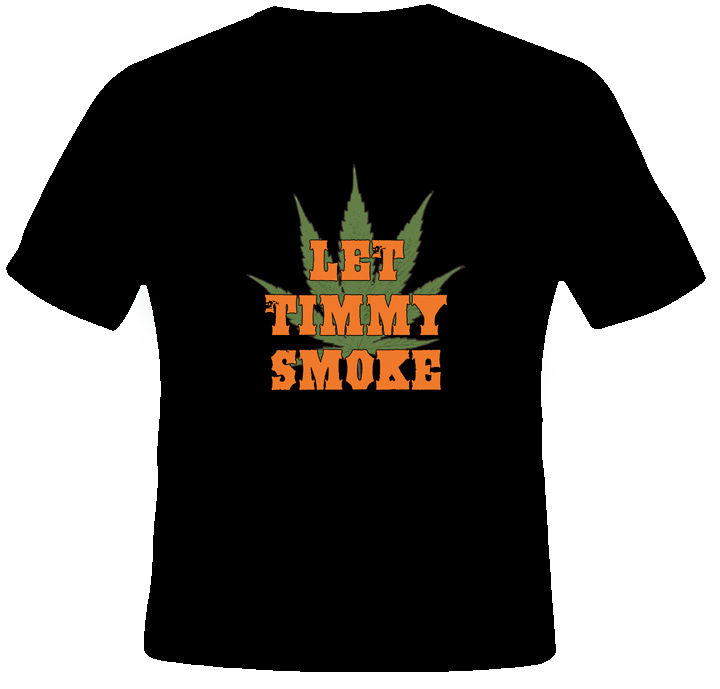 People laugh at it and even Lincecum is known to sign these shirts. So he essentially is laughing in the face of MLB and their drug policy and isn’t even reprimanded. Second, inhaling smoke that contains 50 to 70% more carcinogenic hydrocarbons than tobacco smoke into your lungs with every toke can’t be the message MLB wants to send to fans. They are banning smokeless tobacco from being seen in dugout and in uniform pockets now. Why the double standard? The research is out there, marijuana use is linked to brain deterioration, schizophrenia, anxiety, depression and numerous types of cancer. It can be argued a million times that marijuana has its positive health effects with regard to glaucoma and pain relief but I’ll not be convinced that a doctor in his right mind would approve of ingesting smoke into the lungs is good for the human body. So prescribe it in a pill form rather than the smokeable version that mucks up the lungs. Yes, I’m biased. I catch drug smugglers for a living and I’ve seen smugglers attempt to harm me and some of my comrades in the process. Even know of one of my fellow workers run over and killed by a smuggler carrying a trunk load of Marijuana, (leaving a wife and two small children fatherless), so I get a bit offended with the cavalier attitude that much of the populace takes towards the illegal drug (cannabis) when I see guys put their lives on the line to keep it out of the country. It’s truly a thankless and unappreciated job. Back to my original point. Ronald Belisario needs to serve his suspension. 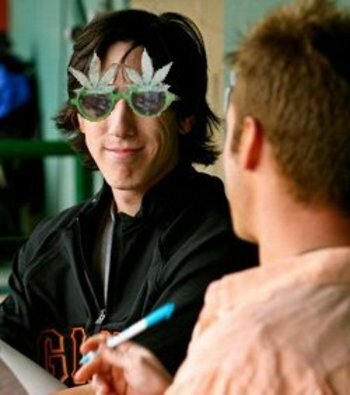 So should Tim Lincecum for his marijuana use in the off-season before 2010. Additionally, he should be tested weekly because of the past violation. 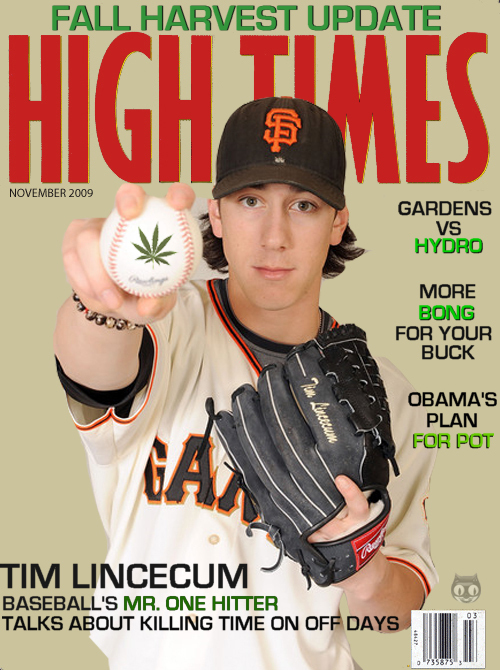 But that won’t happen either because MLB doesn’t seriously care if its stars are smoking cannabis. Double standard? I think so. Non-star, Jeremy Jeffress currently in the Kansas City organization has faced suspension for marijuana use...but he’s not a Cy Young candidate is he? I say, "Let Timmy serve his suspension." One year ago today I got up the nerve to do it. I researched a little info on google and saw that setting up a blog wasn’t an impossible chore. Though I had been participating in message boards and had engaged in numerous postings at various locations since 1996, I never gave serious thought to starting my own site until I realized that I had enough knowledge and some material to share what some might consider to be interesting reading. Here I was, nearing the 1/2 century mark in life, and I really needed to engage this hobby of mine, to keep my mind going. So I did it. December 22, 2010. My first post was launched, and away I went. In 365 days I have written 247 posts. There have been some real stinkers and others not so much. A few I was downright proud of. Followers have come and gone. The biggest hurdle to keeping Opinion of Kingman’s Performance going has been my job. Often I’m working 60 + hours per week in a relatively high stress environment. What has amazed me is that I actually keep coming up with material. Usually, something happens throughout the course of the day that triggers an old Dodger memory, and I’ll jot a few reminders on my notepad so that when I get home later in the day, an article can be written. One of the weaknesses of this blog is that I self- edit my posts, and that has proven to cause problems. At times, due to interest of time, I’ll complete a rush job on a post. And after re-reading it a few hours later, I’ll cringe at the grammatical errors and blatantly stupid mistakes with misspellings or a missed word or two that changes the entire gist of a point being made. I have made the mistake of trying to get breaking news out fast and I really need to sit back and realize that I’m not the L.A. Times trying to scoop everyone else. 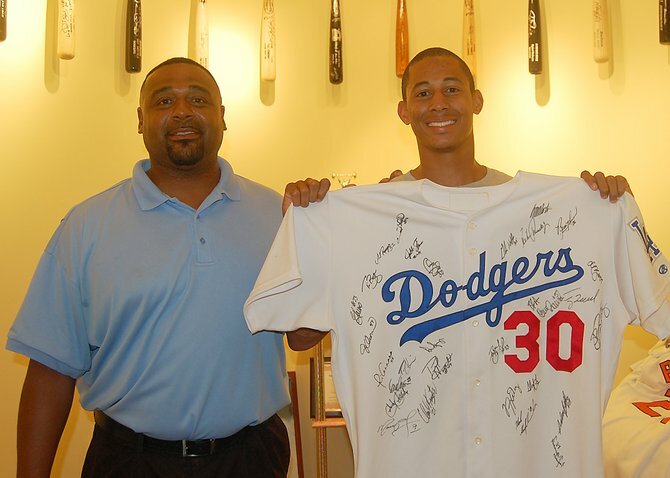 It has been a year where I have reached out and in the interest of the blog, met a number of players and former players: Dave Kingman, Tommy Lasorda (again), Sweet Lou Johnson, Steve Yeager, Ron Cey, Aaron Miles, Matt Kemp, Andre Ethier, John Ely. 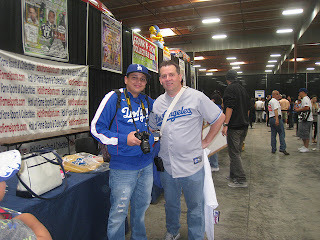 I have interviewed Walter O’Malley’s grandson - Tom Seidler, and long time Dodger Executive - Billy Delury. 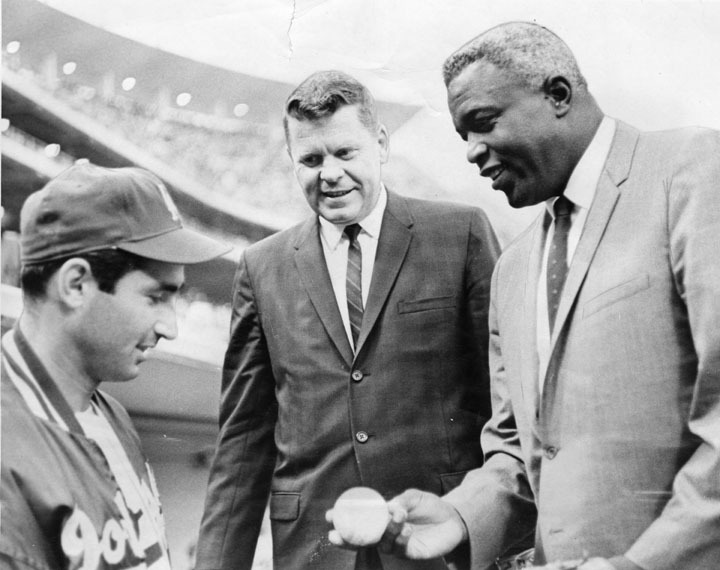 I spoke at length with Ben Platt from MLB and Dodger historian Mark Langill. I was contacted by the CBS Evening news following my article on the Bryan Stowe beating for an interview. I have been lauded and criticized, acknowledged and ignored, laughed at and applauded. it all comes with the territory I guess. I met the creme de la creme of Dodger bloggers at DodgerBlogger night where I saw first hand how intelligent and professional such bloggers as Eric Stephen, Jared Massey, Roberto Baly, Xeifrank from Dodger Sims, Ken Steinhorn, The Sons of Steve Garvey, Ernest Reyes and others that are slipping my mind at this moment. I reconnected with old friends that I met years ago at Dodgertown Vero Beach: Emma Amaya and Linda Wilson. I introduced myself to Dodger Films Bobby Crosby and re-aquainted myself with the left field pavilion. Minnesota Twins fans reached out when I wrote of Killebrew and Carew and praised my articles, Padre and D-Back fans protested when I predicted them to have subpar seasons. Giants fans wrote and protested because they hate all things Dodger and I hate all things Giant. Red Sox, Mets, Phillies and Yankee fans wrote and objected to my criticism of the East Coast bias in the media. The readership of this blog I attribute to the benevolence of other Sports blogs that have many times linked up my posts to publicize it. Roberto Baly at Vin Scully is My Homeboy, Jon Weisman at Dodger Thoughts, Steve Dilbeck at the L.A. Times, Howard Cole at Baseball Savvy and the OC Register, and others have done so. Dustin Nosler even interviewed me over at Feelin Kinda Blue, (BTW, he has a great blog over there). There are times when I laid awake in bed at night when an idea came to fruition. So I'd get up and write. My dear wife has been the trooper through all of this, simply putting up with it and understood. She accepted when I create a logo through my primitive attempts at art work. She understood when I shelled out $1,000 on t-shirts that nobody bought and another grand on uniforms, and participation fees for a softball team that will compete in the Dodger Bloggers Tournament. Or the week I spent at CB Ranch, or tickets to games and trips to an autograph signing event or Dodger game that is 389 miles from home. She supported me through it all. She endures my time and effort dedicated to this baseball team, a team that gives back very little, especially with this ownership group. A love affair with a “logo” she says, and you know what? That’s a fairly accurate statement. 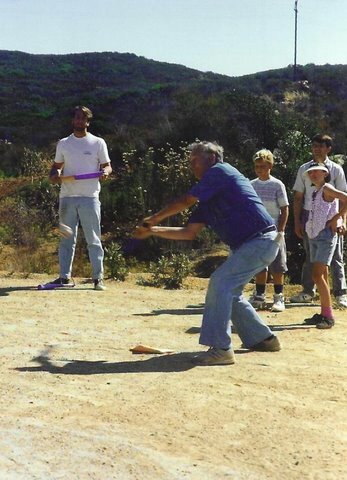 My father, Earl George Bladh, hitting in a family baseball game during a family reunion in 1991. 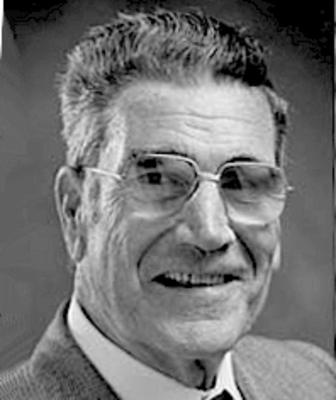 He passed away in April, 2010. The blog allowed me to reflect on the relationship I have with my dad. To write about it and to reach out to him in his last days on earth. 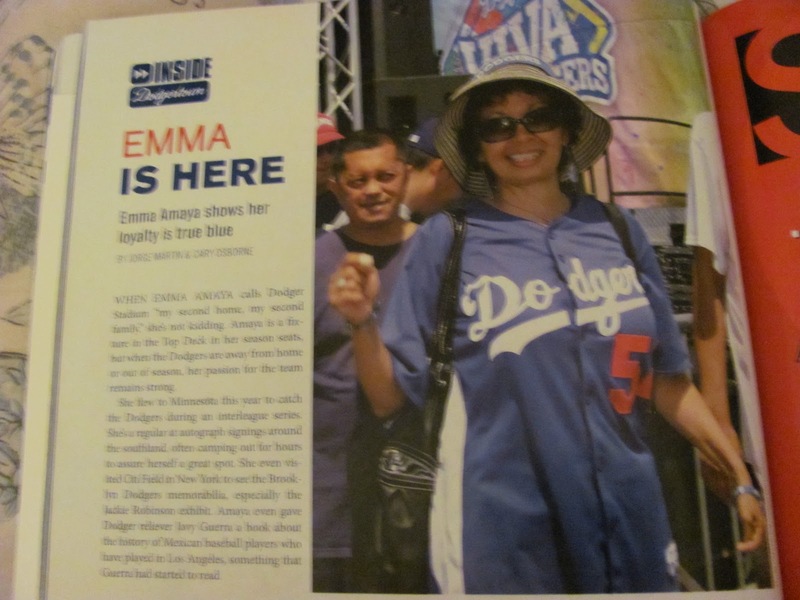 My last connection I had with my father was through article that I wrote of our time together and bonding through the Dodgers and sports. Though he was suffering from dementia in his final months, the last real connection I had with him was due to this blog and the article that I wrote about us. That in itself made this whole year worth it. So year two begins today, and I’ll keep the blog going as long as I am physically, mentally and financially able. If two or three days pass and I haven’t contributed a new post, I feel like I’m neglecting it. I appreciate the readership, the comments, the criticism and assistance. 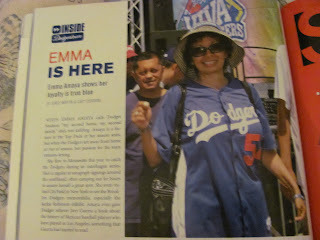 Here's to many more years of Dodger blogging. We know by now that Logan White loves drafting guys with major League bloodlines. So far, the jury is out on the results, but you can’t complain too much. 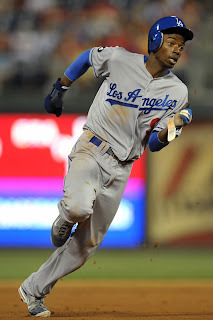 For every Brian Pilkington (Burt Blylevan’s nephew and drafted prior to Logan White’s arrival), there’s a Dee Gordon. You have the absolute flops, i.e. Preston Mattingly, and the players that have Major League possibilities, such as Ivan DeJesus Jr. Then there are the promising guys like James Baldwin III that we pray will continue to ascend through the organization and that Ned will not dangle as trade bait. Below is my assessment of a few players drafted within the Dodger organiaztion that have the major league ties through blood. I am not addessing all Dodger draftees with bloodlines (Adam Laroche and Mike Piazza’s brother Tom, come to mind), only those that I can recall that are still in the organization. Preston Mattingly: Drafted as a first round pick in 2006, the 31st overall player chosen out of high school in Evansville Indiana. Preston hasn’t panned out. Rated by John Sickels as a “B” level prospect with “promising tools,” the son of “the hit man” has not lived up to potential. The first problem was finding him a position. He was drafted as a shortsop, but very soon into his career it was determined that he wasn’t well suited for the position (25 errors in 48 games at SS in his first two years). A move over to second base didn’t help much either. Mattingly became a corner outfielder by year three in the minors, but progress was not occurring at the plate. Mattingly hit very well in his inaugural rookie league campaign as an 18 year old. Since then his batting average hasn’t surpassed .238 and his OBP has never been over .296. Mattingly has performed poorly in pitching friendly leagues and in hitting friendly leagues. His 6’2” 210 lb. frame has never developed power, never hitting more than 5 homers in a season. His eye at the plate leaves much to be desired. The Dodgers essentially gave him away to Cleveland a few days before his father became the Dodger manager, with the thinking that Preston needed a change of scenery. By the end of Spring Training, the Indians released him and the Dodgers swooped him up again, most likely as a favor to his dad. Now six seasons into his career and at age 24, Mattingly has never advanced above High A ball. Short of a miraculous surge, Preston’s baseball career seems to be over. 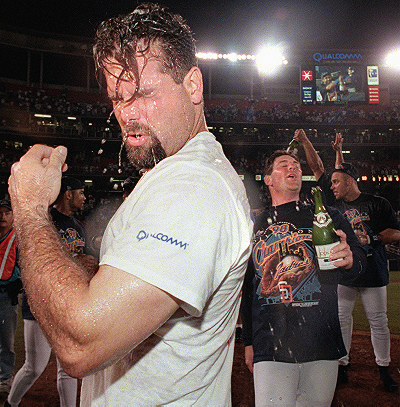 Ivan DeJesus Jr.: There was a time that DeJesus’ advancement to the Big Leagues was a certainty. Then the freak broken leg injury happened. I don’t think he has been taken seriously since. It kind of reminds me of his father. As long as Bill Russell and Davey Lopes and Lee Lacy were around, Ivan Sr. was never going to be a factor in the Dodgers lineup. A second round draft pick out of high schoool in Guaynabo, Puerto Rico. 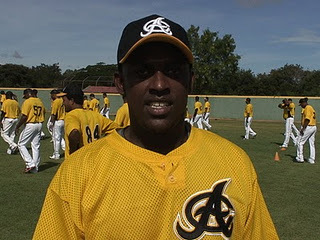 Ivan Jr. progressed nicely through the system with improvement all the way up to AA Jacksonville in 2008. In 2008 he was named the organization’s minor league player of the year. Then the injury happened in Spring Training, 2009. A nasty broken leg that sidelined him for an entire year. DeJesus emerged in AAA Albuquerque where he has hit respectably. But for some reason not made known to us, Ivan appears to have fallen out of favor with Dodger brass. For two consecutive years, DeJesus has not been called up to the Majors in September after certainly deserving the promotion. Ivan made the big club out of Spring Training and didn’t fair well in the first two games, facing Cain and Jonathan Sanchez, striking out in 5 of his first 7 ABs. He played in 17 games from April to June, 2011, shuttling back and forth between LA and Albuquerque following injuries to Rafael Furcal. For some reason, DeJesus never got a shot again. Now 24 years old, and passed over by Dee Gordon and Justin Sellers on the depth chart. A Dodger career doesn’t look like it’ll happen for Ivan, with the recent acquisitions of Adam Kennedy and Mark Ellis in the off-season. Some serious injury problems will have to occur for De Jesus to get a shot in 2012. Ivan may be dangled out there as trade bait this winter or during the spring. He has had an incredible Winter League campaign in Puerto Rico. 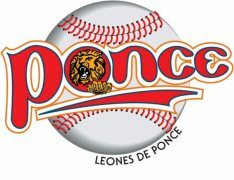 As of today, December 19th, through 21 games for Ponce he has a stat line of 84 AB, 13 R, 30 H, 6 2B, 4 3B, 0 HR, 9 RBI, .357 BA, .413 OBP, .937 OPS. Hopefully he keeps it up this spring. Another Dodger youngster had an amazing Winter League Season in Puerto Rico last year, it was Dee Gordon. 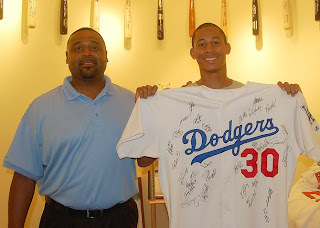 James Baldwin III: A toolsy outfielder, (son of James Baldwin, Jr. a stand out starting pitcher that was briefly a Dodgers), was drafted out of Pincrest, NC High School in the 2010 draft fourth round. What the Dodgers have seen so far is impressive. Baldwin works the count and gets on base. In 422 plate appearances over two season at Rookie League and Pioneer League levels, James sports an OBP that is 70 points higher than his batting average. And he’s still a teenager. Baldwin has some pop and in Ogden sported .828 OPS, 10 homers, 39 RBI in 50 games with 39 SBs in 47 attempts. Baldwin is a centerfielder that shows decent range and a powerful throwing arm, (5 outfield assists). We are looking at another potential 5 tool player here that will only get better as his frame fills out. (Baldwin is 6’3”, 190 lbs). It’ll be best to hold onto Baldwin and watch his development closely. It is early and probably unfair to do so, but I can’t resist. I see parallels to Matt Kemp here. James doesn’t turn 20 until the season ends in October. The ceiling on Baldwin is as high as the sky. I’ll be definitely watching some minor league contests this Spring at CB Ranch with the expressed purpose of watching James the Third. Devaris Gordon: Dee Gordon broke through last season, so much so that the Dodgers had no issues with letting Rafael Furcal depart via trade. His blazing speed and occasional spectacular play at SS was a welcome sight. Gordon has a high ceiling and extremely positive attitude. Yes, he can be erratic defensively, but that is to be expected. The kid is 23 years old and is only 4 years into his professional career. We aren’t talking Jose Offerman type defense here. Not even close. Gordon has the potential to play gold glove type “D” one day. With 224 MLB ABs already under his belt, Dee needs to work some walks into his repertoire because once he’s on base, he’s a true threat. In 56 games last year, Gordon stole 24 bases. He was definitely overmatched at the plate against some flame throwers, but as he matures both mentally and physically, Dee will get better. He finished his rookie season with a .304 avg. and .325 OBP, with 9 doubles and 2 triples. He has the uncanny ability to routinely turn singles hit slightly to the gap into easy doubles. For heaven’s sake, Dee led the National League in hits for the month of September, and he did this in many games against clubs competing for a playoff spot. Personally, I’m sky high positive when it comes to rating Gordon. He was a great find and a 4th rounder at that. Logan White is pure genius. 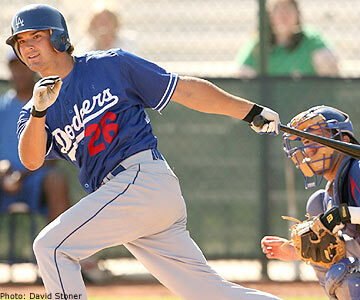 Scott Van Slyke: I watched Scott Van Slyke at Spring Training on the Minor League fields this past year. Granted, I was only there for three days but I saw him strike out on three nasty curve balls and walk away without lifting a bat off his shoulder. Everyone was laughing as he trudged back to the dugout with a sheepish grin on his face shaking his head. Little did I know that I was watching the player that was to be named the Dodger organization's Minor League Player of the Year by season's end. A 14th round pick by the Dodgers in 2005, Van Slyke is now 25 years old. After progressing to a stall in 2010, Van Slyke caught fire in 2011 AA Chatanooga, hitting .348 with a .427 OBP. Scott easilly had his best minor league season and was promoted to AAA as the campaign ended where he continued to hit. 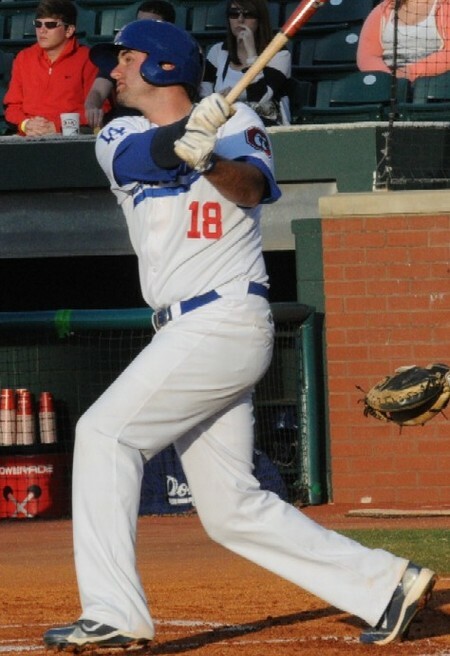 A right handed hitting corner outfielder and first baseman, Van Slyke is a big dude, standing 6’ 5” around 225 lbs. The log jam in the Dodger outfield will keep him in AAA this year but if he continues to hit, it’ll be hard to not call him up to the big club. Van Slyke’s 2011 season earned him Minor League player of the Year honors with the Dodgers and the Southern League batting title at Chatanooga. His 1.022 OPS were best in the organization. He has always hit, but last year he was a top tier minor league hitter. It’ll be interesting to watch him perform this Spring at Camelback Ranch. He is on the Dodger 40-man roster at this moment. Today, on this slow baseball news day where I read of Colletti’s interest in signing another journeyman outfielder to ensure that Jerry Sands never gets a chance to make the team, I decided to browze through baseball-reference.com. 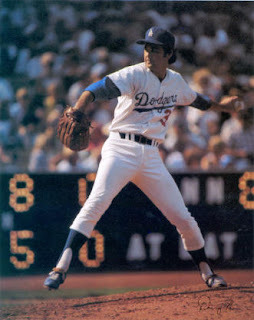 I noticed that it is the 63rd birthday of former Dodger starting pitcher, Doug Rau. I must admit that Rau wasn’t one of my favorites. 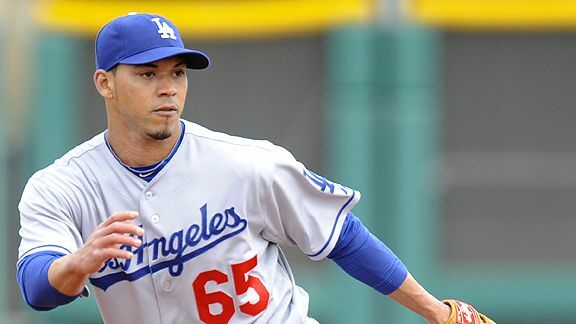 He was the number 5 man on the staff and never seen as a true pitching threat on the Dodgers. Always an afterthoughet on a good pitching staff. I’m sure opponents preferred to face the soft tossing lefty Rau over the likes of Sutton and Messersmith in those days. And I swear, during those years when the Dodgers had such starters as Don Sutton, Tommy John, Andy Messersmith, Al Downing, Burt Hooten, Rick Rhoden and Rau...it seemed like Doug was pitching at every game I attended. I always thought he was the worst of the bunch, but if you look at his numbers, he was actually pretty good. Over a 9-year Dodger career, with 5 consecutive years in the Starting Rotation, Rau was 81-60, with a 3.35 ERA. From 1974 through 1978 his WAR was 0.8, 2.5, 4.4, 3.3 and 2.0 which was fairly respectable in my book. 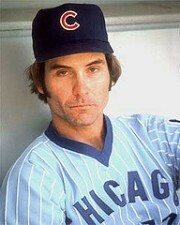 In 1976 he finished second behind John Denny for the best ERA in the league at 2.57. Additionally, during that five year stretch, the Dodgers won 3 pennants. In 1979, Rau came down with an arm injury at age 30 and never recovered. The Angels signed him in 1981 but he never regained his effectiveness and by ’82 he was out of the game. 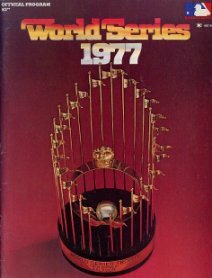 For those remembering great Dodger moments, with regard to Doug, there’s the ’77 World Series. Rau will always be remembered for that classic on the mound argument with Lasorda when he was removed from game 4 in the second inning. As I look back at this game, Lasorda certainly was panicking early and had an extremely quick hook. I can understand why Rau was upset about being removed after facing just 6 batters. Tommy was paranoid about getting behind another game. It should be noted that the Dodger did eventually lose this game 4 to 2. For those that are easily offended by profanity, I suggest you not hear the youtube clip below. Tom Lasorda (to Red Adams his pitching coach while still in the dugout): Give me a sign Red when I get out there. I’ll mess around for some time. Okay? “F” no, he can’t get them “F"ing left handers out for “Ch*&” all-“F"ing”mighty. Doug Rau: I feel good Tommy. Lasorda: I don’t give a “S@#” you fell good, there’s four mother “F"ing hits up there! Rau: They're all “F"ing hit the opposite way! Lasorda: I don’t give a “F”! Rau: Tommy, they got a lefthander hitter, I can strike this mother “F"er out! Lasorda: I don’t give a “S” Dougie. (Helen Dell serenades with the organ in the background). Rau: I think you’re wrong. 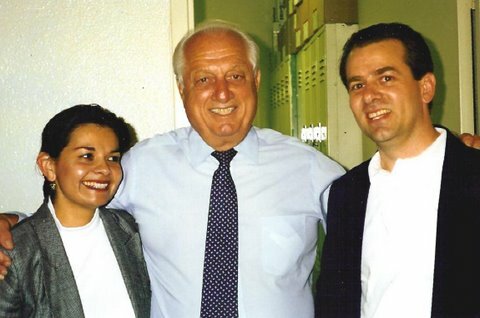 Lasorda: I may be wrong but that’s my “G-D” job. Lasorda: I’ll make the “F"ing decisions here. Rau: (unintelligible) am I pitching that bad? Lasorda: I’ll make the “F"ing decisions here. Okay? Rau: There were three runs on the “F"ing board yesterday! Rau: Hey Tommy I can get this “F”ing guy! Lasorda: I don’t need this “S@#!” “G-D” it! I make the “F"ing decisions! Keep your “F"ing mouth shut! I told you! Davey Lopes intercedes: This looks bad up here man, just back off the “F"ing mound and you want to talk about it, talk about it in the office. Lasorda: Talk about it in my “F"ing office! Rau: If I f didn't feel good then I wouldn’t saying nothing. Lopes: I’m just saying, talk about it inside. This isn’t the place to talk about it. Okay? That’s all I’m trying to say. You jump on me! “Sh#$”! I’m just trying to avoid a “F"ing scene out here, that’s all! Lasorda: That’s right. That’s “F"ing great for you to be standing out here talking to me like that. Rau: If I didn’t feel good, I wouldn’t say so. Lasorda: I don’t give a “S#@” Doug! I’m the “F"ing manager of the “F"ing team and I gotta make the “F"ing decisions. And I’ll make them to the “F"ing best of my ability. It may be the “F"ing wrong decision, but I’ll make it! Don’t worry about it, I’ll make the “F"ing decisions. I gave you a “F"ing chance to walk outta here. I can’t “F” around, we’re down 2 games to 1. If it was yesterday, it’s a different “F"ing story. Lasorda: I don’t give a “S@#!” You’ve got three left handed hitters and they all got “F"ing hits on ya. Rivers, Jackson and the “F"ing other guy (it was Chambliss). They all... The guy that just hit the ball was a left hander wasn’t he? Rau: I jammed him. I pitched him on the inside part of the plate. Lasorda: I don’t give a “S” whether you jammed him or not. He didn’t get out. I can’t let you out there in a “F"ing game like this. I’ve got a “F"ing job to do. What’s the matter with you? Rau departs mound. A little scattered applause is heard. Lasorda: Should I “F"ing bring ‘em back? I hate to play ‘em in the second inning with a “F"ing left hander. I’d rather play ‘em back. We can’t give ‘em two more this “F"ing early. Play them back. 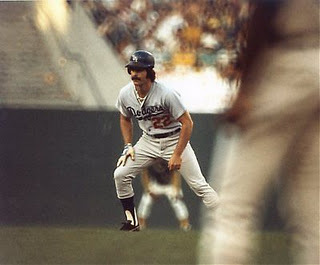 Davey Lopes is a leader and I can understand why Lasorda named him the team captain for a spell. I can’t remember the circumstances, but Lopes gave up that role after an incident during his Dodger career. But you can see that Lopes attempted to stop the incident from escalating and to have them address it later inside. Lasorda, even after things calmed down a bit following Lopes’ influence, started things up again. Rau, truly thought he had good stuff and that Yankee hitters were getting lucky hitting a number of jam shots for hits off of him. He pitched for Lasorda in the minors and apparently didn’t fear riling him up because he said a number of things that were certain to set Tommy off. It was probably a bad idea for the TV network to mike Lasorda. I’m pretty sure they couldn’t use any of his stuff due to the “F” bombs. It certainly is interesting though. John Ramsey truly was the voice of God. That man had some amazing pipes. True to fashion that continues to this day, when the Dodger manager or coach takes the mound to talk to a pitcher, the organ music begins to play. Can anyone identify the song that Helen Dell was playing? I would have loved to have witnessed the meeting between Rau and Lasorda in his office after the game. I must say that I'm a bit surprised that the majority of writers and bloggers that are commenting on the Braun positive test, remain in his camp and believe that he should keep the MVP award. I’ll tell you right now, I don’t agree with them. I’m fairly confident that if Kemp wasn’t in the position that he is and it were someone like Upton or Howard that was in second place in the voting, I’d still feel the same. Braun shouldn’t get the award and it is not too late to right this wrong. Here are a few comments from respected writers on the topic. Jon Weisman at Dodgerthoughts: “My opinion: A positive drug test doesn't make Braun's 2011 season less valuable. He still did what he did. It does call into question how he achieved that value and open the door for you and me to judge him how we will. But my view of history is that it chronicles what happened, for better or worse. History isn't what we'd like things to be – it's what was, like it or not. Whenever I consider baseball's long, plentiful history of misbehavior, I've never been in favor of bringing an eraser to the record books, and I'm not going to start now. If Braun is guilty, his punishment will be his suspension and his tainted reputation. I'm not excusing his behavior. I'm just not pretending that he didn't deliver on the field, illicitly or not. There’s a big difference in this MVP voting scenario. This isn’t a similar situation to the tainted MVP awards given to Alex Rodriguez in 2003, and Ken Caminiti in 1996. In those cases, the disclosure of their steroid usage was far after the players had been presented the awards. With Braun, there hasn’t yet been a formal presentation of the award. Additionally, the positive test results were known to MLB prior to the announcement of the award and MLB could have run some interference. I see that failure to act as another blemish on the legacy of Bud Selig. Interestingly, Braun’s immediate reaction when named the winner was that he was relieved and that he had been extremely nervous leading up to the announcement. “I’m not going to pretend that I wasn’t anxious or nervous because I was,” was Braun’s direct quote on the day his MVP award was announced. I now understand his mindset. Braun knew about the failed test for a full month before the voting results were announced. He knew that if the story leaked, his award announcement would be extremely controversial. This calls into question Braun's integrity, but that's another topic altogether. As things stand now, if Braun keeps the award, (and all indications are that he will), he will receive it in a ceremony in street clothes on the field in Milwaukee because he’ll be serving a 50-game suspension. How is that going to look? Selig brags that MLB has the best testing program in Major League sports and that baseball is clean and drug free. Now the National Leagues most valuable player will be presented the award under a cloud of suspicion and acknowledgement from MLB management that he cheated. Yet they still give him the award? That is a ridiculous and embarrassing proposition. If MLB and the BBWAA want to make things right, then they’ll do whole process over again. It’s time to right a wrong. The award hasn’t been presented yet, so do the right thing. That would be, 1) MLB speeds up the appeal process and completes their business in a week. If Braun is exhonerated, he keeps the award. If he isn’t, then 2) the BBWAA votes again. That process could be completed in a day or so. Who knows? Maybe Prince Fielder wins in the second vote because, after all, Braun’s voters justified their votes for him because he accomplished his feats under the heat of a pennant race. Under that premise, Prince Fielder will win the second time they vote around. Aaron Harang - Ned Colletti's Next Acquisition? In Your Face Angels! We Got Harang!